HUNTSVILLE — The spread of guns and drugs is reaching deep into Muskoka. Two Scarborough men are in court this afternoon in Bracebridge facing drug and weapons charges after being arrested in Huntsville Thursday afternoon. Provincial police say that on Thursday, while students were protesting education cuts, two men men in their mid-20s from Scarborough were arrested and two loaded handguns with prohibited bullet magazines. Police say that on April 4, 2019, the OPP’s Muskoka Community Street Crime Unit conducted an investigation in Huntsville into two men trafficking crack cocaine. At 1:35 p.m. the first male was arrested in the Huntsville and officers found two ounces of crack cocaine in his vehicle. He was taken to the OPP detachment. Two hours later, ad 3:35 p.m., the second male was arrested at the hotel the two men were staying at. He was also taken to the detachment. Later in the evening, a search warrant was executed at the room the men had stayed in. There, police found eight more ounces of crack cocaine, $1,365 in cash, and two loaded hand guns with prohibited magazines. The total street value of the cocaine and the currency seized is more than $30,000. 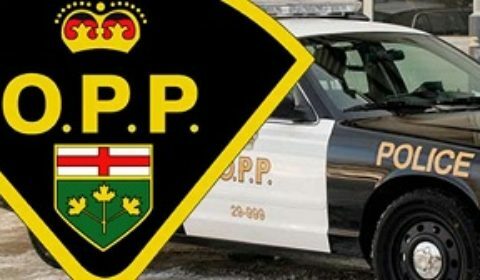 Both accused were been held for a bail hearing in the Ontario Court of Justice in Bracebridge on Friday afternoon, April 5, at 1 p.m.